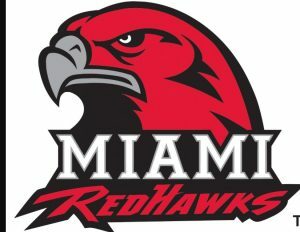 Congratulations to 2017 5’10 G Kenzie Schmitz from Germantown on her commitment to NCAA Division 1 Miami Ohio from the MAC conference. Kenzie had multiple Division 1 offers but decided she wanted to be a Red Hawk. Everyone notices Kenzie for her athletic ability and strength but what gets lost is how hard she works to not only be the athlete that she is, but the basketball player that she is. Her ability to guard multiple positions, rebound, and score in a variety of ways is all from a lot of time she has put in to become a great player. Miami is getting a very special talent, but they are getting an even more special young lady on and off the court. It has been a privilege getting to know and coach Kenzie the last two years. Looking forward to watching her finish out her Laker career in DC and Augusta with hopefully a National title to cap off a tremendous Laker career.